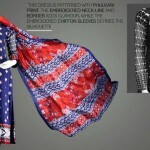 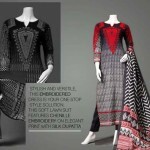 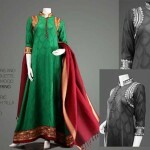 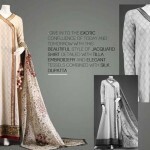 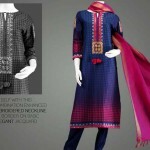 Latest Dresses Almirah Eid Collection 2013 was Launched in August 2012. 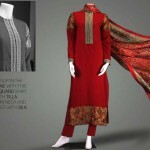 Recently Almirah has launched new its Latest Eid Collection 2013 for women. 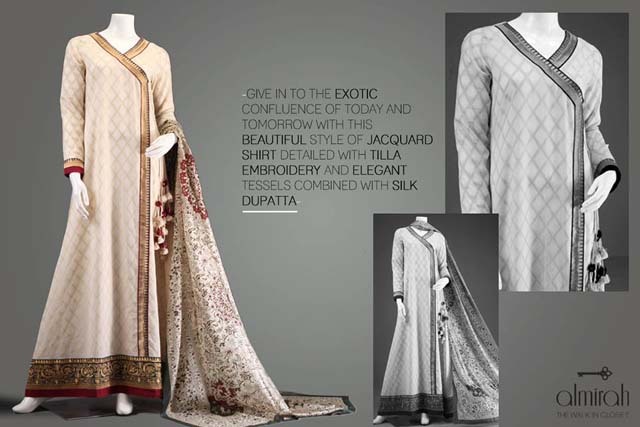 This collection has various sub-collections including Rajwada collection, Jawahir Collection, Karigar Collection and Jamazaib collection. 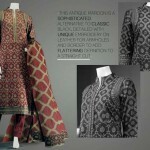 Three piece unstitched lawn suits along with accessories are included in Almirah new lawn collection 2013. 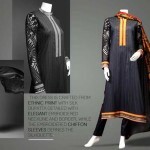 Long shirts & A line shirts with trousers are included in this collection. 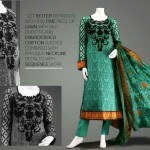 Most of the suits are premium lawn suits that can be used for evening wear in addition to casual wear.